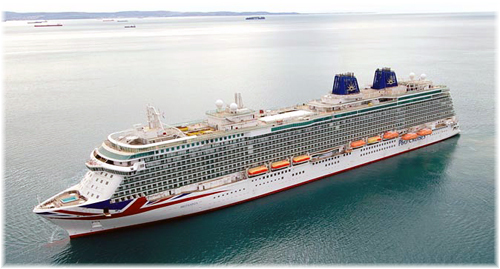 Last week came an announcement from P&O Cruises that it was ordering a new 5,200 lower-berth cruise ship that will have 42.5% more lower berth capacity than the line’s last ship, the 3,647-berth Britannia, but 10% less space per passenger. At the same time, Celestyal Cruises is talking about building a pair of 60,000-ton 1,800-berth ships that would be designed for 3- and 4-day cruising, and making some other changes in its operations as two ships are due to return from the end of charters with Thomson Cruises. Paul Ludlow, senior vice-president of P&O Cruises, announced last week on the line’s Facebook page that it was to build a next-generation cruise ship for delivery in 2020. At 180,000 tons and 5,200 lower berths, it will be the largest cruise ship ever built for the UK market and will be based on the four-ship LNG-powered design recently developed by Meyer Werft for Costa and AIDA. Through what is described as “an innovative use of space,” the ship will offer an extensive range of dining, entertainment and relaxation facilities. Nevertheless, the new ships Passenger Space Ratio will be only 34.6 tons per passenger as opposed to 38.7 on the line’s latest ship, the Britannia, which is more than 10% less space per guest. The ship will be built by the Meyer Werft shipyard in Papenburg, which produced P&O’s Oriana in 1995 and Aurora in 2000, in the days before Carnival ownership. The new ship will incorporate Carnival Corp & plc’s latest “green cruising” design, as one of the first generation of cruise ships to be powered exclusively by Liquefied Natural Gas (LNG), the advanced fuel technology that will significantly reduce air emissions. P&O also announced that this ship, the largest in the P&O fleet, will have a striking new exterior and interior design that will include all the company’s classic features, as well as new guest amenities. The design, which will be based on new ships now on order for AIDA Cruises and Costa Cruises, will be the first since Carnival Corp & plc acquired P&O Cruises that has not used a Princess platform for a new P&O ship. Ironically, of course, AIDA was owned by P&O between 2000 and 2003, after which executive control passed from P&O Princess, as it then was, to Costa Cruises Group in Genoa. The new P&O ship will be one of seven new LNG-powered vessels – two each of which were ordered earlier for AIDA Cruises and Costa Cruises and another pair of which is to be built concurrently for Carnival Cruise Line. Carnival Corporation & plc, signed the memorandum of agreement for the latest three ships on September 6 with Meyer Werft and Meyer Turku to deliver additional cruise ships powered by LNG. The two ships designated for Carnival Cruise Line will be built by Meyer Turku at its shipyard in Turku, which has built ships for Carnival Cruise Line before. Delivery is expected in 2020 and 2022. In conjunction with the order, the delivery dates for the newbuildings for AIDA Cruises and Costa Cruises for 2020 will be pushed back to 2021 to allow the company to allocate growth more evenly across its ten global cruise brands. In total, Carnival Corp & plc now has agreements to build seven LNG-powered ships for four of its ten brands. These vessels will be part of the first generation of cruise ships to be fully powered by LNG, an environmental advance that will produce the most efficient ships in the company’s history. The new ships will use LNG to generate all the ship’s power both in port and on the high seas – an innovation that will reduce exhaust emissions and thus help to protect the environment. Carnival Corp & plc has already taken delivery of three new ships in 2016 for AIDA Cruises, Carnival Cruise Line and Holland America Line, and plans to introduce the Seabourn Encore in December 2016. Including Seabourn Encore and the new ships announced for Carnival and P&O Cruises, Carnival Corporation has a total of eighteen new ships scheduled for delivery between 2016 and 2022. After many years of building primarily with Fincantieri in Italy, the ordering of seven significant new ships from the Meyer yards signals a significant change in the way Carnival Corp & plc sources its cruise tonnage, with the newest and largest ships now coming from northern European rather than Mediterranean shipyards. Kyriakos Anastassiadis, ceo of Piraeus-based Celestyal Cruises, has been telling cruise industry publications recently that his company will be ordering new ships. “We will definitely get newbuilds,” he has said, “it’s just a matter of time. Any new ships would be specifically designed for 3- and 4-night itineraries, and all outside cabins would have balconies. “The ultimate objective is to get into new builds, but it’s a lot of money,” he explained. In interviews, Anastassiadis also confirmed the return to the fleet at the end of 2017 of both the 1,254-berth Thomson Spirit and the 1,462-berth Thomson Majesty, presently operating on charter to Thomson Cruises. 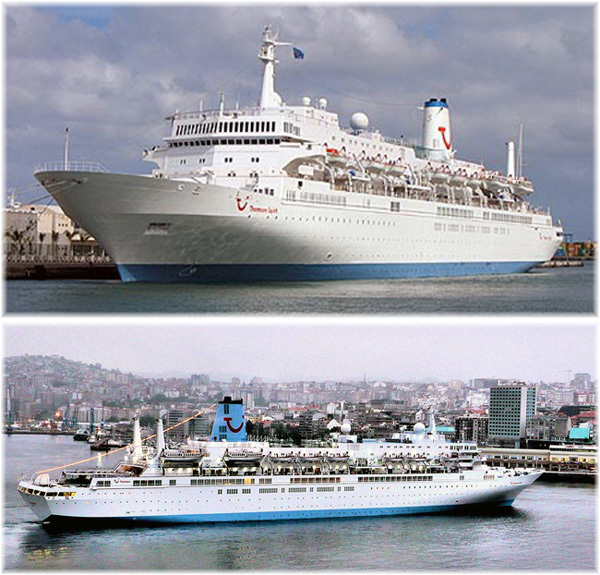 Thomson is replacing these ships with more modern vessels having more balconies from its Royal Caribbean affiliate. In other news from Celestyal, the company will launch a winter program with the 1,450-berth Celestyal Olympia in the Eastern Mediterranean in 2016-2017. 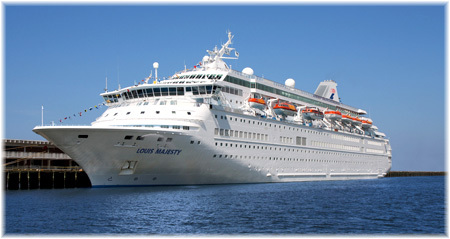 Meanwhile, Thomson Majesty has been mooted for off-season sailings in the western Mediterranean, where Louis used to operate this same ship from Genoa and Marseilles as the Louis Majesty. In addition, the company’s Cuba Cruise brand will move to a year-round program starting in 2017 and the 966-berth Celestyal Crystal could be joined by a fleetmate from November 2017. The line also plans to add a second ship in Cuba, which could be the Spirit when she returns to Celestyal. One ship will continue the present 7-night program on a year-round basas while the second ship will offer 3- and 4-night sailings on a year round basis in and around Cuba. 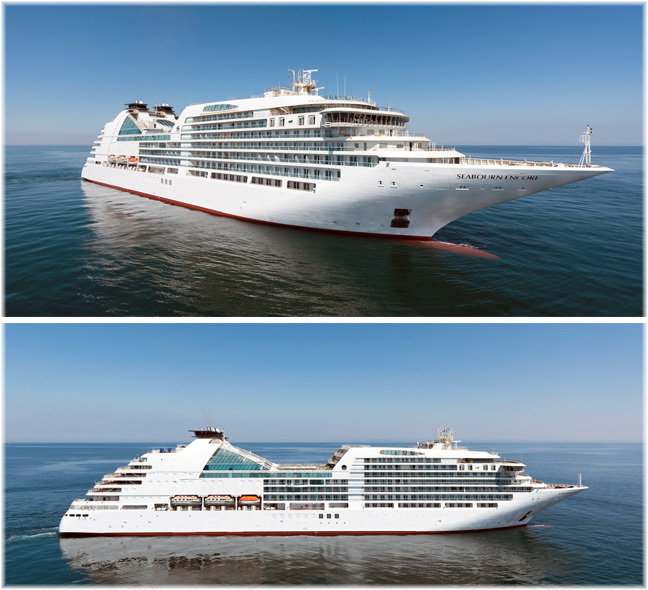 Finally, the Celestyal Olympia will go to the Persian Gulf in 2017-18, to operate a season of 3- and 4-night cruises out of Dubai to Bahrain, Doha and Muscat that will last through April 2018, when she will return to Piraeus for her summer season in the Greek islands.